Welcome to the EDBT 2000 Web! 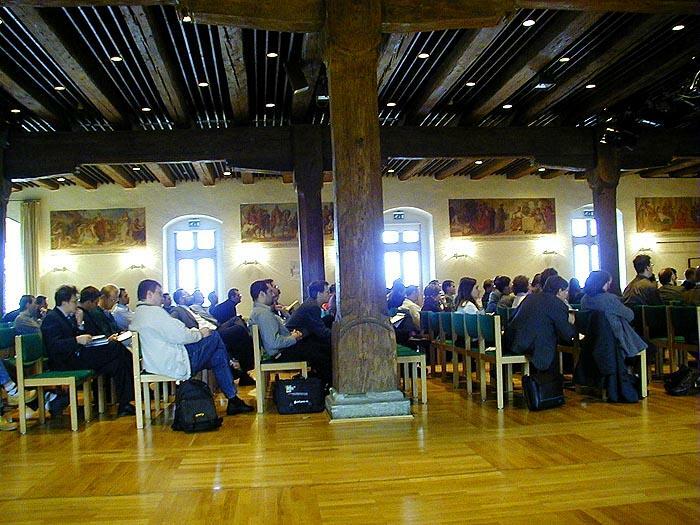 Thanks to everyone who has attended EDBT 2000 in Konstanz, Germany! You have made the conference an event worth to remember, both in terms of scientific contributions and fun. The EDBT 2000 Proceedings are available now! Springer Verlag has published the proceedings in its LNCS series (volume 1777) and has also posted an online version. Watch this space for post-conference material. These days we will upload the slides for the invited talks, the PhD workshop proceedings, and photos we have shot during EDBT 2000. If you would like to have one of those nifty and fizzy limited edition EDBT 2000 cans... just stop by, there are still a few left! Please send e-mail to info@edbt2000.uni-konstanz.de for questions and comments.